عمده‌ترین پساب صنایع نفت و گاز، آب همراه آن است که تصفیه آن به‌منظور کاهش حجم و فراهم کردن شرایط مناسب برای کاربردهایی همچون کشاورزی مورد توجه است. از آنجا که فناوری‌های غشائی نقش مهمی در جداسازی ترکیبات محلول و قطرات روغن امولسیونی دارند، از فرایند غشایی اسمز مستقیم (FO) برای کاهش حجم این پساب استفاده شد. این فرایند، با استفاده از غشای تخت سلولزی تجاری در یک سامانه آزمایشگاهی مورد بررسی قرار گرفت. شار آب در غلظت‌های مختلف شوری و نفت سنجیده شد و مورفولوژی و آبدوستی غشا پس از شار آب مورد ارزیابی قرار گرفت. نتایج نشان داد با افزایش غلظت نمک‌های معدنی معمول در آب همراه، از صفر تا 20 میلی‌گرم در لیتر، شار آب از 11 به 6/6 لیتر در مترمربع در ساعت کاهش یافت. این کاهش به‌دلیل افزایش فشار اسمزی خوراک است. در حضور 1000 و 3000 میلی‌گرم در لیتر نفت در خوراک آب دیونیزه، افزایش ویسکوزیته و چسبیدن قطرات نفت بر سطح غشا باعث کاهش 12 و 15 درصدی شار آب نسبت به شار آب دیونیزه شد. با اضافه کردن نفت به آب همراه با غلظت‌های مختلف نمک، کاهش بیشتر شار آب مشاهده شد که این کاهش به‌دلیل افزایش فشار اسمزی خوراک و همچنین تغییر شرایط امولسیون نفت-آب در حضور نمک بود. حضور نمک باعث افزایش کشش سطحی محلول و در نتیجه انعقاد قطرات نفت و گرفتگی بیشتر در غشا ‌شد که در زمان‌های طولانی منجر به کاهش شار می‌شود. Treatment of the produced water, as a major wastewater in oil and gas industry, is concerned with reduction of the wastewater volume or providing water for some applications such as agriculture. Since membrane technologies play an important role in the separation of dissolved and emulsified oil droplets, forward osmosis (FO) was used in this research as a novel process to reduce the volume of such wastewater. A cellulose commercial flat membrane was applied in a FO laboratory system. The results showed that by increasing the concentrations of the most important inorganic solutes in produced water from 0 to 20 g/L, water flux decreased from 11 to 6.6 L/m2.h due to an increase in feed osmotic pressure. In the presence of 1000 and 3000 mg/L oil in deionized feed water, 12 and 15 percent reduction of the water flux was observed, respectively. This was due to the increased viscosity of feed and the precipitation and adsorption of emulsiﬁed oil particles on the membrane surface. On the other hand, adding oil to the solution with different salt concentrations, led to a further reduction in the water flux. This was a result of the increase in feed osmotic pressure and changes in the condition of oil-water emulsion in the presence of salts. The salts increased the surface tension of the solution, which caused coagulation of oil droplets and higher fouling in the membrane surface. Akther, N., Sodiq, A., Giwa, A., Daer, S., Arafat, H.A. & Hasan, S.W., 2015, "Recent advancements in forward osmosis desalination: A review", Chemical Engineering Journal, 281, 502-522. Bae, C., Park, K., Heo, H. & Yang, D.R., 2017, "Quantitative estimation of internal concentration polarization in a spiral wound forward osmosis membrane module compared to a flat sheet membrane module", Korean Journal of Chemical Engineering, 34(3), 844-853. Bell, E.A., Poynor, T.E., Newhart, K.B., Regnery, J., Coday, B.D. & Cath, T.Y., 2017, "Produced water treatment using forward osmosis membranes: Evaluation of extended-time performance and fouling", Journal of Membrane Science, 525, 77-88. Binks, B.P., Cho, W.G., Fletcher, P.D.I. & Petsev, D.N., 2000, "Stability of oil-in-water emulsions in a low interfacial tension system", Langmuir, 16(3), 1025-1034. Blandin, G., Verliefde, A.R., Comas, J., Rodriguez-Roda, I. & Le-Clech, P., 2016, "Efficiently combining water reuse and desalination through forward osmosis reverse osmosis (FO-RO) hybrids: A critical review", Membranes, 6(3), Article No. 37. Choi, Y., Cho, H. Shin, Y., Jang, Y. & Lee, S., 2015, "Economic evaluation of a hybrid desalination system combining forward and reverse osmosis", Membranes, 6(1), Article No.3. Chowdhury, M.R., Ren, J., Reimund, K. & McCutcheon, J.R., 2016, "A hybrid dead-end/cross-flow forward osmosis system for evaluating osmotic flux performance at high recovery of produced water", Desalination, 421, 127-134. Chung, T.S., Luo, L., Wan, C.F., Cui, Y., Amy, G., 2015, "What is next for forward osmosis (FO) and pressure retarded osmosis (PRO) ", Separation and Purification Technology, 156, 856-860. Cath, T.Y., Childress, A.E. & Elimelech, M., 2006, "Forward osmosis: Principles, applications, and recent developments", Journal of Membrane Science, 281(1), 70-87. Duong, P.H. & Chung, T.S., 2014, "Application of thin film composite membranes with forward osmosis technology for the separation of emulsified oil–water", Journal of Membrane Science, 452, 117-126. Eftekhardadkhah, M. & Hashemabadi, S.H., 2011, "Influence of salinity, surfactants and power of ultrasonic homogenizer on droplet size distribution of crude oil/water emulsions", Iranian Journal of Chemical Engineering, 8(3), 55-63. 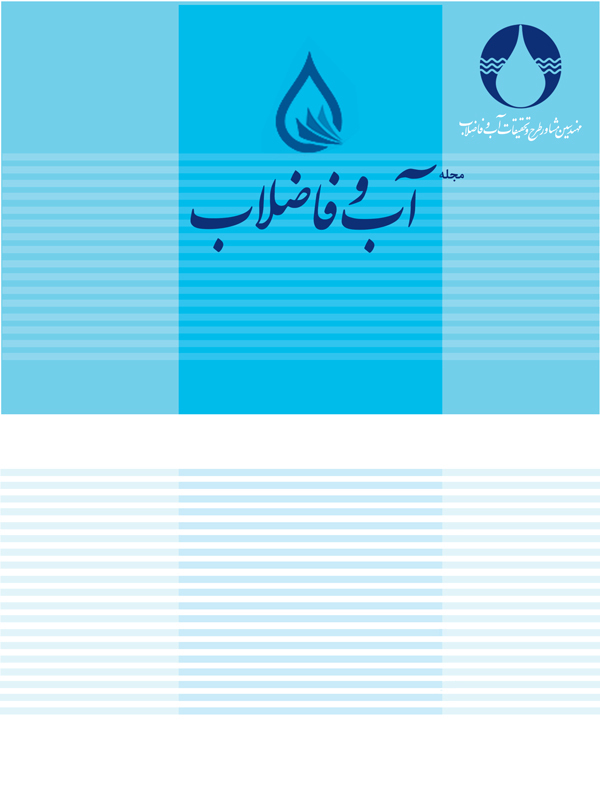 Fakhru’l-Razi, A., Pendashteh, A., Abdullah, L.C., Biak, D.R.A., Madaeni, S.S. & Abidin, Z.Z., 2009, "Review of technologies for oil and gas produced water treatment", Journal of Hazardous Materials, 170(2), 530-551. Garcia-Castello, E.M., McCutcheon, J.R. & Elimelech, M., 2009, "Performance evaluation of sucrose concentration using forward osmosis", Journal of Membrane Science, 338(1), 61-66. Han, G., de Wit, J.S. & Chung, T.S., 2015, "Water reclamation from emulsified oily wastewater via effective forward osmosis hollow fiber membranes under the PRO mode", Water Research, 81, 54-63. Han, G., Chan, S.S. & Chung, T.S., 2016, "Forward osmosis (FO) for water reclamation from emulsified oil/water solutions: Effects of membrane and emulsion characteristics", ACS Sustainable Chemistry & Engineering, 4(9), 5021-5032. Hasanoğlu, A. & Gül, K., 2016, "Concentration of skim milk and dairy products by forward osmosis", Journal of the Turkish Chemical Society, Section B: Chemical Engineering, 1(1), 149-160. Kim, J., Jeong, K., Park, M.J., Shon, H.K. & Kim, J.H., 2015, "Recent advances in osmotic energy generation via pressure-retarded osmosis (PRO): A review", Energies, 8(10), 11821-11845. Kumar, B., 2012, "Effect of salinity on the interfacial tension of model and crude oil systems", Doctoral Dissertation, University of Calgary, Alberta, Canada. Le, N.L. & Nunes, S.P., 2016, "Materials and membrane technologies for water and energy sustainability", Sustainable Materials and Technologies, 7, 1-28. Lee, S., Boo, C., Elimelech, M. & Hong, S., 2010. "Comparison of fouling behavior in forward osmosis (FO) and reverse osmosis (RO)", Journal of Membrane Science, 365(1), 34-39. Li, P., Lim, S.S., Neo, J.G., Ong, R.C., Weber, M., Staudt, C., Widjojo, N., Maletzko, C. & Chung, T.S., 2014, "Short-and long-term performance of the thin-film composite forward osmosis (TFC-FO) hollow fiber membranes for oily wastewater purification", Industrial & Engineering Chemistry Research, 53(36), 14056-14064. Li, L., Liu, X.P. & Li, H.Q., 2017, "A review of forward osmosis membrane fouling: Types, research methods and future prospects", Environmental Technology Reviews, 6(1), 26-46. Lima, E.R.A., De Melo, B.M., Baptista, L.T. & Paredes, M.L.L., 2013, "Specific ion effects on the interfacial tension of water/hydrocarbon systems", Brazilian Journal of Chemical Engineering, 30(1), 55-62. Lutchmiah, K., Verliefde, A.R.D., Roest, K., Rietveld, L.C. & Cornelissen, E.R., 2014, "Forward osmosis for application in wastewater treatment: A review", Water Research, 58, 179-197. Lv, L., Xu, J., Shan, B. & Gao, C., 2017. "Concentration performance and cleaning strategy for controlling membrane fouling during forward osmosis concentration of actual oily wastewater", Journal of Membrane Science, 523, 15-23. McClements, D.J. & Dungan, S.R., 1993, "Factors that affect the rate of oil exchange between oil-in-water emulsion droplets stabilized by a nonionic surfactant: Droplet size, surfactant concentration, and ionic strength", The Journal of Physical Chemistry, 97(28), 7304-7308. McCutcheon, J.R., McGinnis, R.L. Elimelech, M., 2006, "Desalination by ammonia–carbon dioxide forward osmosis: influence of draw and feed solution concentrations on process performance", Journal of Membrane Science, 278(1), 114-123. Mazlan, N.M., Marchetti, P., Maples, H.A., Gu, B., Karan, S., Bismarck, A. & Livingston, A.G., 2016, "Organic fouling behaviour of structurally and chemically different forward osmosis membranes–A study of cellulose triacetate and thin film composite membranes", Journal of Membrane Science, 520, 247-261. Mi, B. & Elimelech, M., 2010, "Organic fouling of forward osmosis membranes: Fouling reversibility and cleaning without chemical reagents", Journal of Membrane Science, 348(1), 337-345. Minier-Matar, J., Santos, A., Hussain, A., Janson, A., Wang, R., Fane, A.G. & Adham, S., 2016, "Application of hollow fiber forward osmosis membranes for produced and process water volume reduction: An osmotic concentration process", Environmental Science & Technology, 50(11), 6044-6052. Nasiri, M. & Jafari, I., 2017, "Produced water from oil-gas plants: A short review on challenges and opportunities", Periodica Polytechnica. Chemical Engineering, 61(2), 73. Qin, J.J., Lay, W.C.L. & Kekre, K.A., 2012, "Recent developments and future challenges of forward osmosis for desalination: A review", Desalination and Water Treatment, 39(1-3), 123-136. Ortega-Bravo, J.C., Ruiz-Filippi, G., Donoso-Bravo, A., Reyes-Caniupán, I.E. & Jeison, D., 2016, "Forward osmosis: Evaluation thin-film-composite membrane for municipal sewage concentration"., Chemical Engineering Journal, 306, 531-537. Shu, L., Obagbemi, I.J., Jegatheesan, V., Liyanaarachchi, S. & Baskaran, K., 2015, "Effect of multiple cations in the feed solution on the performance of forward osmosis", Desalination and Water Treatment, 54(4-5), 845-852. Valladares Linares, R., 2014, "Hybrid membrane system for Desalination and wastewater treatment: Integrating forward osmosis and low pressure reverse osmosis", Doctoral Dissertation, TU Delft, Delft University of Technology, Netherland. Venketeswari, P., Leong, O.S. & Yong, N.H., 2014, "Seawater desalination using forward osmosis process", Journal of Water Reuse and Desalination, 4(1), 34-40. Wang, J., Pathak, N., Chekli, L., Phuntsho, S., Kim, Y., Li, D. & Shon, H.K., 2017, "Performance of a novel fertilizer-drawn forward osmosis aerobic membrane bioreactor (FDFO-MBR): Mitigating salinity build-up by integrating microfiltration", Water, 9(1), 21-27. Yangali-Quintanilla, V., Li, Z., Valladares, R., Li, Q. & Amy, G., 2011, "Indirect desalination of Red Sea water with forward osmosis and low pressure reverse osmosis for water reuse", Desalination, 280(1), 160-166. Zhang, S., Wang, P., Fu, X. & Chung, T.S., 2014, "Sustainable water recovery from oily wastewater via forward osmosis-membrane distillation (FO-MD) ", Water Research, 52, 112-121. Zhao, S., Minier-Matar, J., Chou, S., Wang, R., Fane, A.G. & Adham, S., 2017, "Gas field produced/process water treatment using forward osmosis hollow fiber membrane: Membrane fouling and chemical cleaning", Desalination, 402, 143-151. Zheng, J., Chen, B., Thanyamanta, W., Hawboldt, K., Zhang, B. & Liu, B., 2016, "Offshore produced water management: A review of current practice and challenges in harsh/Arctic environments", Marine Pollution Bulletin, 104(1), 7-19.